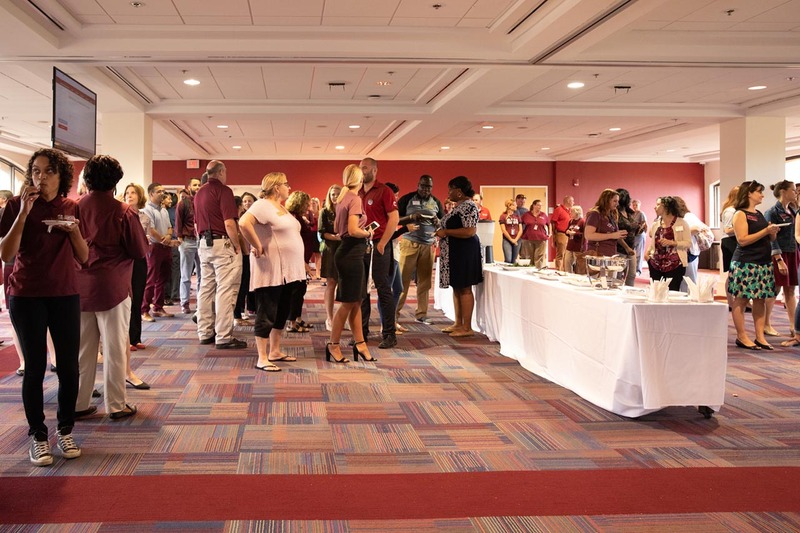 What’s a few snacks and raffle prizes among co-workers? 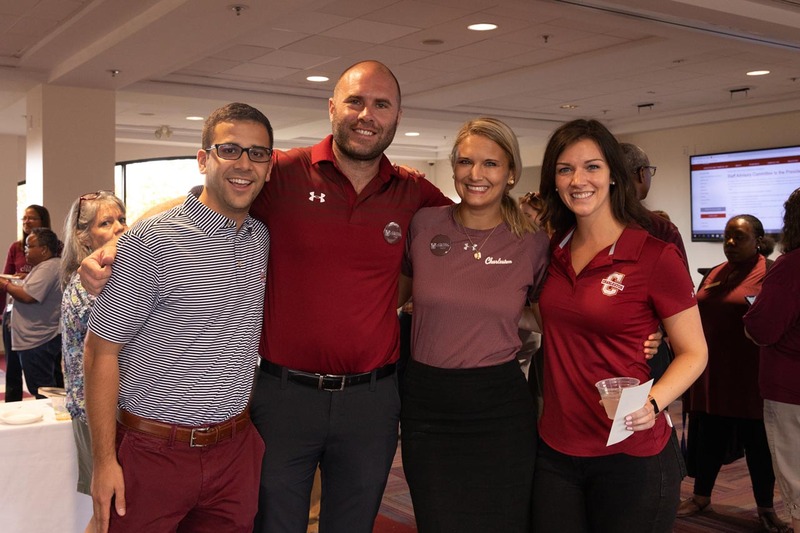 The answer: A fun hour-and-a-half of chatting with fellow CofC staff members and earning a little Cougar swag for your efforts. 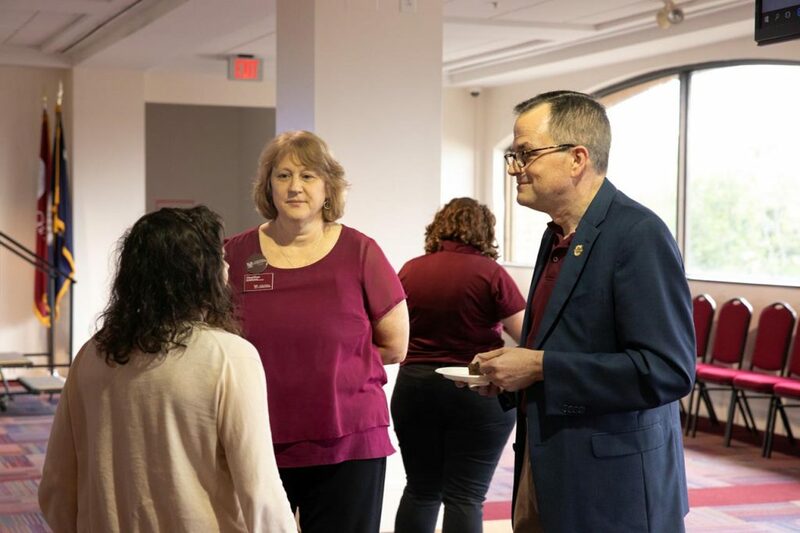 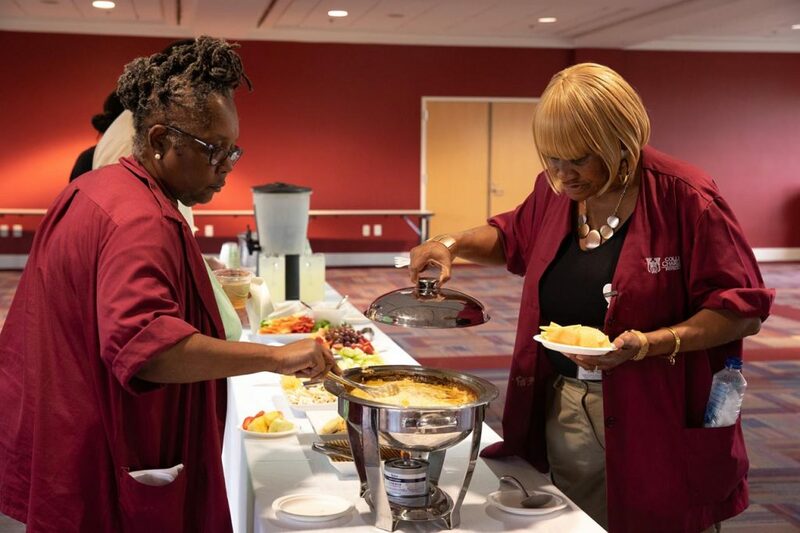 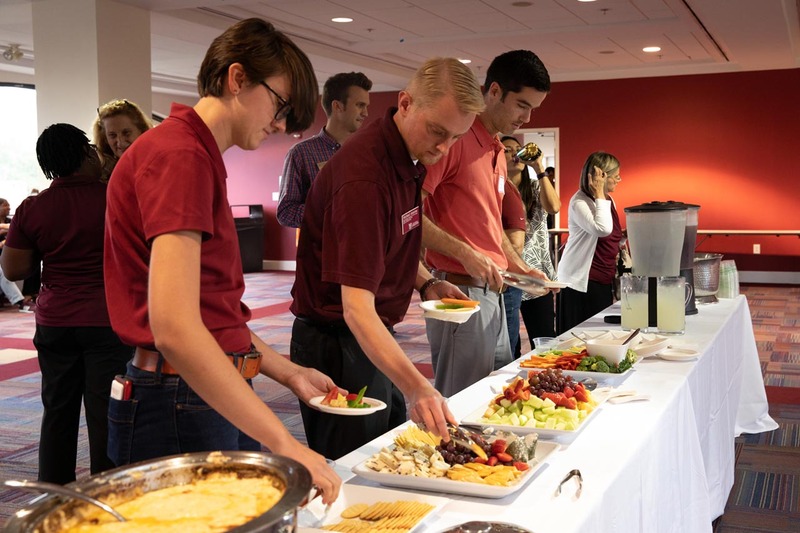 The Fall Staff Drop-in on Friday, Sept. 7, 2018, in Stern Student Center Ballroom brought staff from across all areas of campus together for a little bit of time away from the job. 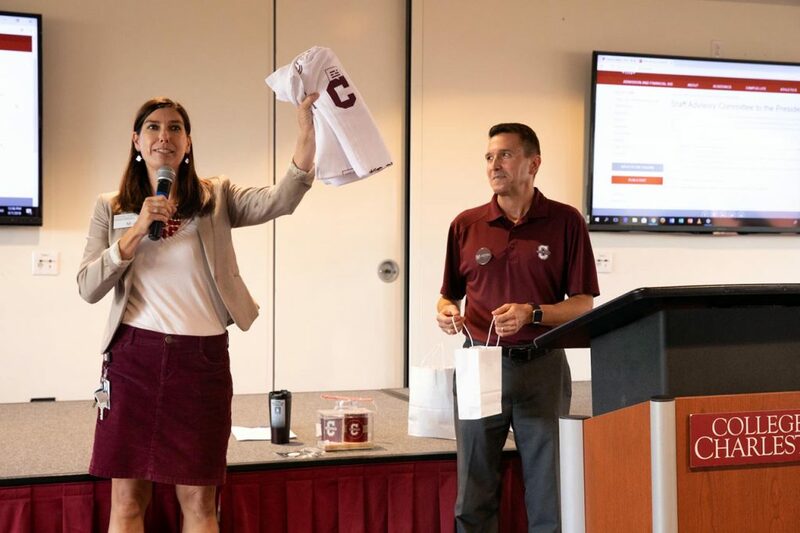 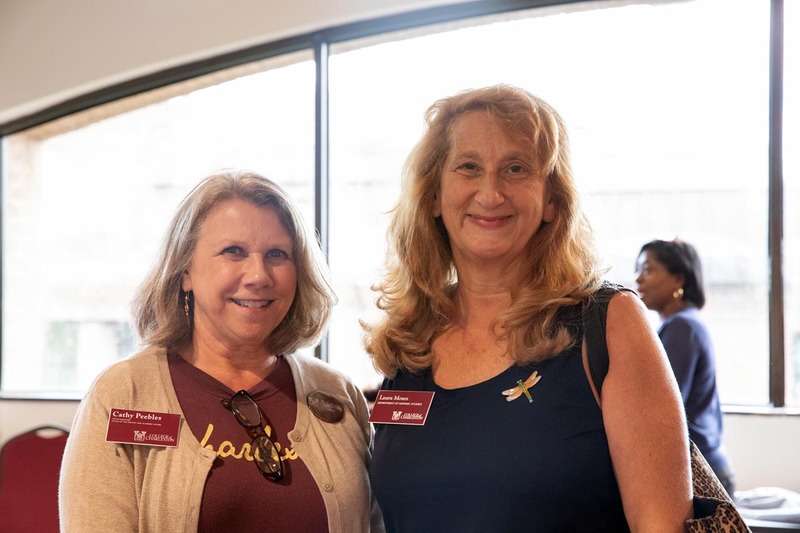 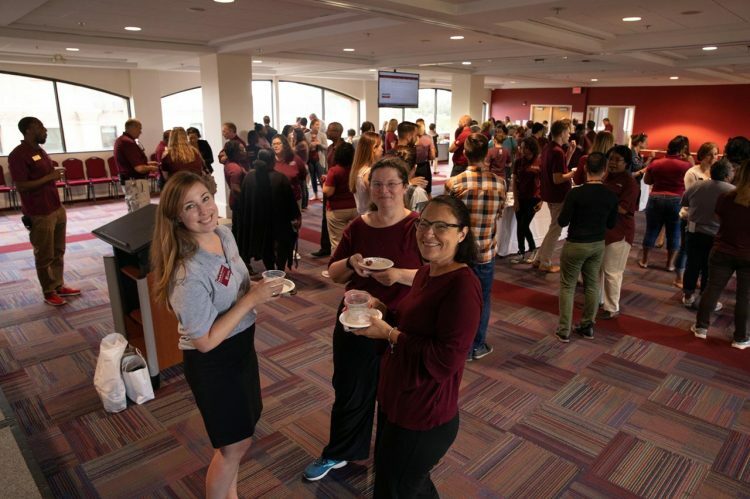 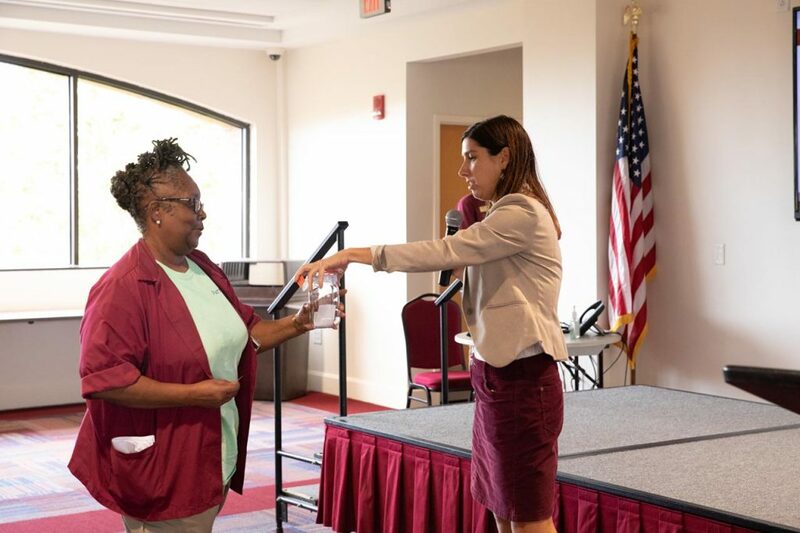 Clad in CofC gear for Cougar Spirit Day, staff mixed and mingled and cheered as lucky winners walked away with raffle prizes such as a CofC beach towel, a coffee mug, reusable water bottles and gift certificates for events at the Charleston Harbor Resort & Marina.